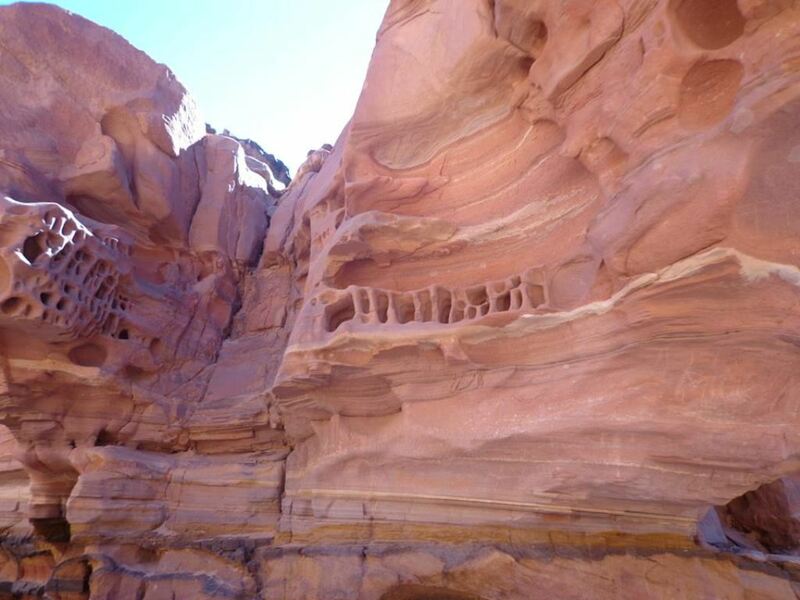 Explore with Egypt-booking.com Jordanien and visit Petra. 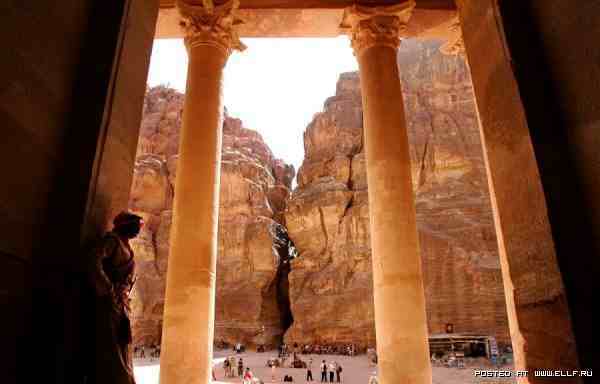 Petra has been described as the city that was lost to the world for 1000 years. Truly a most unusual place and has to be seen to be believed. The Royal tomb, the great treasury, the Roman theatre to name just a few of the places that you will see. The film starring Harrison Ford was filmed there "Raiders of the lost Ark". An early start to the day and also a late finish but worth every minute. You will be collected from your Hotel in sharm el sheikh or Dahab at around 01:30am and we will be transported to Taba. It takes about 2.5 hour to the main port. This is the time to catch a little sleep if needs be. From Taba we take the high speed ferry to Aqaba which takes about an hour. From Aqaba we go on the bus to Petra. Marvellous views along the way throughout the 2 hour drive, so keep your camera at the ready. During this time the guide will be giving you as much information as possible as to what you are going to see and the best route around the area. 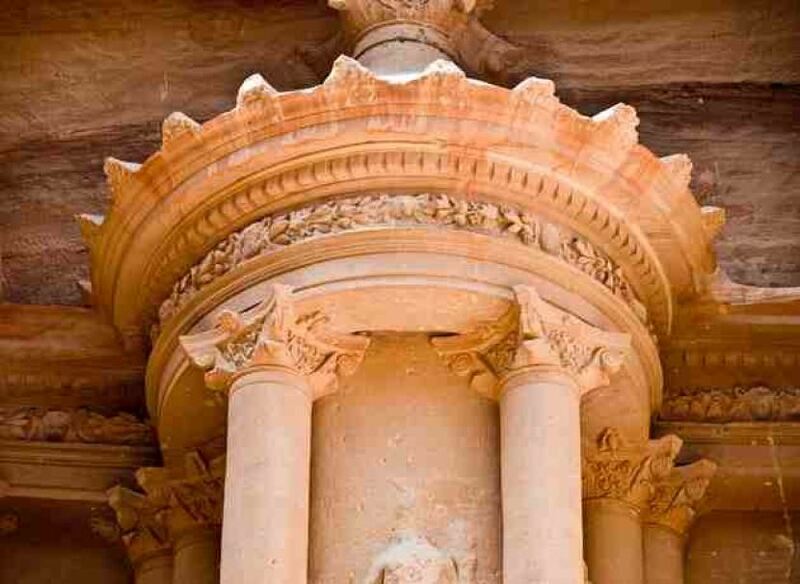 Please pay attention to this detail as it is important and will save valuable time in Petra. 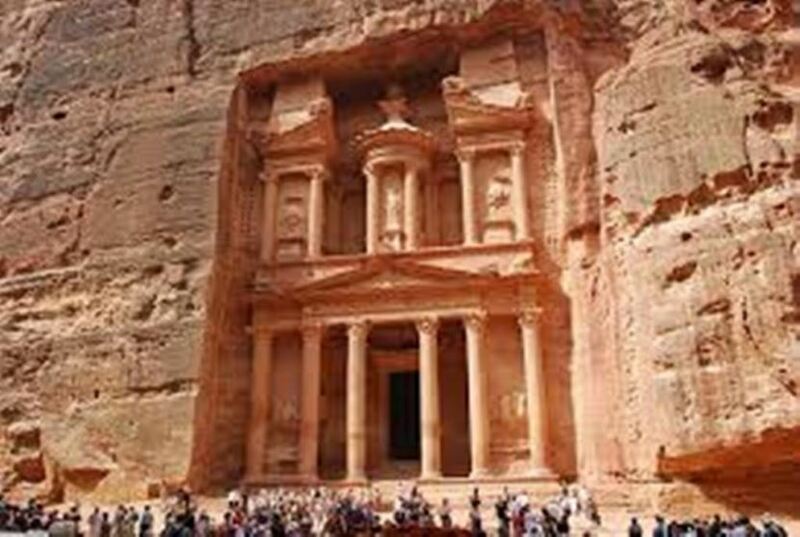 You will be seeing the main tourism sights of the Great Treasury, the Roman theatre, the Royal Tomb along with many other tombs and many of the treasures of the citadel. You will be amazed at the carved stone and sandstone features, the rocks and the gorges, truly amazing and steeped in history. A final walk along the colonnade of Roman Byzantine takes you to the city center which is where we will take lunch. Before leaving the area for Aqaba we always take another look at the fantastic views that will be remembered for ever.